That would make it actually sell. I would agree. But why do not carmakers agree? Why should other car makers have to agree? That's an illogical statement. What is illogical? You -- and not only you -- ask for a more powerful MX-5 (or even 86/BRZ), but they do not make any. It means they disagree with your assessment, that a more power is needed and they will sell. They indicate that more power is not needed and/or they will not sell. AGAIN....tell me why OTHER CAR MAKERS should have an opinion on what Mazda does with the MX5. The syntax you posted suggests that you are saying that other manufacturers must somehow weigh in on what Mazda does with the Miata. Thus, your statement is illogical. 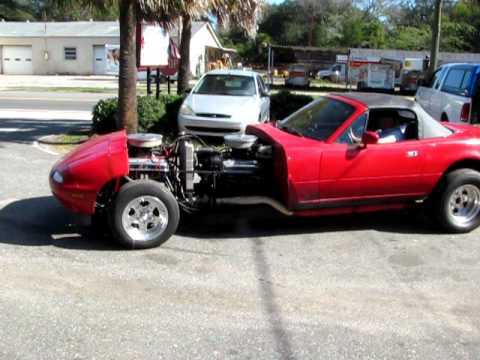 As for sales, the volume of the Miata is virtually nothing and that begs the question as to what would improve volume. The answer is much more power and much better chassis tuning. If it only had the brute power to go with the looks. Last edited by haji; 06-09-2018 at 05:11 AM. For the non Japanese speaking (that would include me) data of the 2019 model. After all, it does get a little more power, with a higher redline (7500rpm, up form 6800 and 181hp, up form 155). It is still far form a muscle car, but 181ho in a car of approx. 1000kg is still a lot of fun, especially with a RWD chassis (and a very good one), and especially if it is of the naturally aspirated sort (which it is here). Also, a telescoping steering wheel is added for those poor tall people (again, including me), as well as an updated infotainment system with a new (slightly larger) screen. This car along with the 86 are vital. Vital to old people who go to the track and can drive them with their accelerator foot pegged to the floor and never have to worry about getting in over their heads? For their prices, the Miata and GT86 are easily outclassed by other performance vehicles. They simply aren't as good as the BS hype their fanboys heap on them. Such an irrational hatred. You must have had some trauma. Actually the empirical evidence supports what I've said. A GTI is a Miata's worst nightmare.